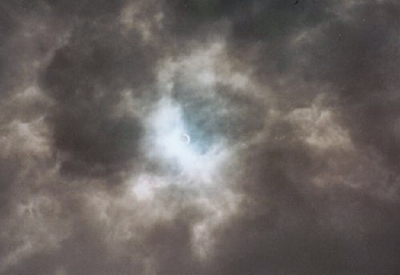 August 1999's Total Eclipse of the Sun. My father, brother and I drove down to Devon to experience totality. It was incredible, watching the shadow coming for us across the fields, and experiencing the sudden silence - but there is no way of photographing what was actually only a general darkening and an overcast sky. 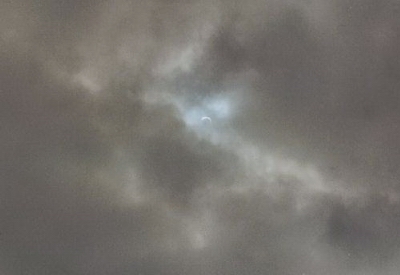 Instead, here are the photos of the near-totality that my mother saw, from their roof in Taunton, Somerset. 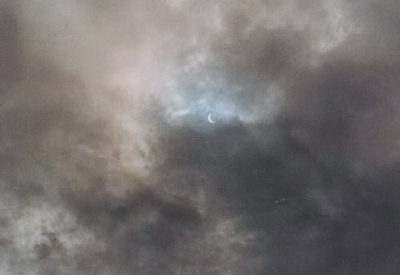 The sun looks like a crescent moon in a stormy sky.